In the late 1700s, an ambitious entrepreneur named Irael Crane set up shop in a rural settlement about 10 miles up the dirt carriage trail from Newark. In the 1790s, he built something of a mansion in what would become Montclair. 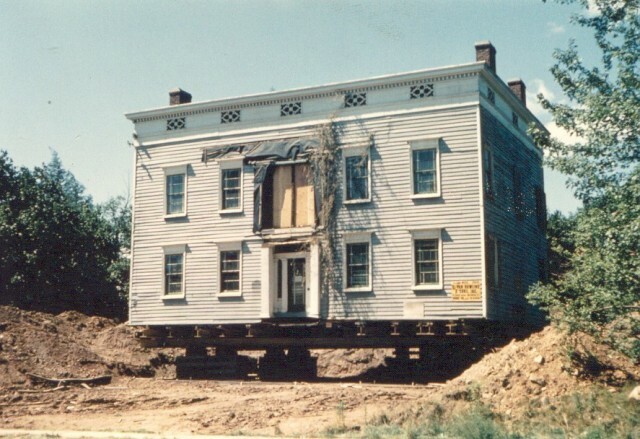 It was on that same Newark thoroughfare, which would later become Bloomfield Avenue, near the corner of today's Glen Ridge Avenue..
We went to a tour of the Crane house last weekend, and saw that the Historical Society is taking a new approach to telling its stories. Instead of studying the house simply as a relic of Jefferson-age Montclair, they're looking all the life that's passed through its rooms in the two centuries since. What they found was a rich African-American narrative, and not always a happy one. For starters, Israel Crane had a black slave or two working in the house. The census of 1800 counts more than 12,000 slaves in New Jersey. Even after slavery was abolished here in the early 1800s, racial segregation was common in Montclair well into the 20th century. In 1920, the Crane house became a YWCA for African Americans. It quickly became a social hub. The "colored Y" also rented rooms to lodgers, many of them new arrivals from the Great Migration. It was a place they could spend a week or two until they found a place to live and, hopefully, a job. The segregation wasn't as overt as in the Jim Crow south, but clear nonetheless. One woman whose recorded voice we hear tells of going often into New York City to avoid the segregated restaurants and other businesses of Montclair. In the high school, black students were steered toward the gospel choir, whites toward the glee club. It wasn't until 1930 that whites and blacks marched together at the high school commencement. This approach to telling history brings lives and voices into otherwise empty buildings. It's much more effective than the previous version, which was like a piece of colonial Williamsburg. Interesting, to be sure, but frozen in time. Another museum that tells similar stories is the Tenement Museum in NYC's Lower East Side. I recommend both.